Rogers’s long-time-coming follow-up to At the Shores (1980) pursues the ever-puerile, faintly touching adventures of die-hard romantic Jerry Engels, now a junior at Penn State in the fall of 1951. Some of the smart set from Jerry’s hometown of Chicago reappear here, especially the former girlfriends who remain fond of him because he “never met a woman he couldn’t like,” even if he eventually loses them all through carelessness. (Sorority girl Pat is still mad about the pubic lice he passed onto her from a Philadelphia prostitute.) Jerry is failing Petroleum and Natural Gas Engineering, a major chosen only because his father is an executive at Standard Oil and his mother a scientist. He should switch to Psychology, Jerry thinks, or even volunteer for active service in Korea. What he really believes, it turns out, is that education is a waste of time because all he needs to learn is how to love, and that can’t be taught. Jerry’s intentions are noble, but he’s not very bright: his attempt to recruit a less-than-polished friend into his fraternity ends badly, and he makes up to homely Anne Player in his Life Drawing Class (he’s the gorgeous model) by telling her that his dates don’t usually talk back the way she does. 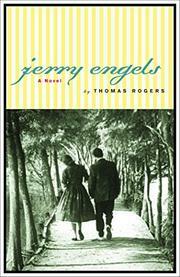 “Despite his promiscuity,” Rogers declares of Jerry, “he had always assumed he would eventually end up a monogamous and happily married man like his father.” Indeed, after Jerry runs into his freshman English teacher at a Poconos ski lodge, he and 28-year-old doctoral candidate Elizabeth Grant embark on a sweet and surprisingly genuine love affair. Rogers’s gently ironic dialogue succeeds in keeping Jerry’s superficially percolating love worries almost interesting. He’s truly a novelist of the old school, who manages to elevate this dumb, girl-crazy boy into a sympathetic character. “I’m hard to idealize,” Jerry remarks to Elizabeth, but he’s also hard not to like. Brings to mind the youthful, love-aching heroes of Fitzgerald and Bellow, among others.